Gov.-elect Rod Blagojevich took on toll prices Thursday, telling the Illinois Toll Highway Authority to get its “own house in order” before considering raising tolls. Toll Authority Chairman Art Philip announced earlier in the week that he planned a vote on a 35-cent toll increase. 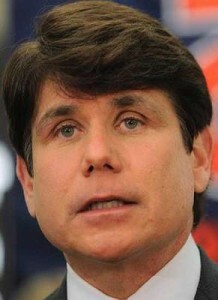 The plan, which Blagojevich immediately criticized, was halted Tuesday by Gov. George Ryan. While the governor-elect said he supported Ryan’s decision to prevent rate hikes, he stressed that this “shouldn’t be a temporary reprieve” from a toll increase. “This should be a permanent change in the way the Illinois Toll Highway Authority does business,” he said. Blagojevich supported a planned resolution by state Rep. Jeff Schoenberg (D-Evanston). The resolution would block toll increases until a management audit of the toll authority is completed in early 2003. Schoenberg, who will move to the state Senate in January, echoed Blagojevich’s view that the authority should look at its administrative costs before increasing tolls. Blagojevich proposed several additional measures aimed at keeping the authority from raising rates. He said he plans to appoint an independent inspector general for the authority and wants the authority board to prepare a long-term financial plan. He also said he is researching the possibility of selling the toll authority building in suburban Downers Grove and moving its operations to the state-owned Illinois Department of Transportation building in Schaumburg. “I have instructed my policy director to clear her desk and look specifically at the feasibility of putting the Illinois Toll Highway Authority’s headquarters in Downers Grove up for sale,” he said. The Downers Grove building cost the state about $25 million when it was built in 1992, and has more than 180,000 square feet of office space. “This extravagance stands as a symbol of all that is wrong with the Toll Highway Authority,” Blagojevich said. Joelle McGinnis, an authority spokeswoman, said the authority’s board is “more than willing” to work with Blagojevich on all of these issues. She said the authority, like many state agencies, prepared a transition report at Ryan’s request which the new governor can reference.